Randolph’s new M.F.A. in creative writing program will celebrate the beginning of its inaugural residency this summer with a Pulitzer Prize winning author. Gregory Pardlo will meet with M.F.A. students this summer. 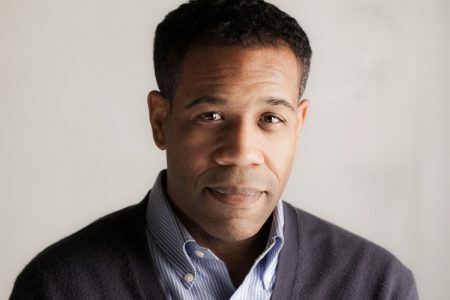 Pardlo’s poetry collection, Digest, won the 2015 Pulitzer Prize for Poetry. He has also been selected for fellowships with the Guggenheim Foundation, the National Endowment for the Arts, and the New York Foundation for the Arts. His first collection, Totem, was selected by Brenda Hillman for the APR/Honickman Prize in 2007. He is the poetry editor for the Virginia Quarterly Review and also now serves on the advisory board for Randolph’s M.F.A. in creative writing program. At one time, Pardlo himself taught classes at Randolph as part of the College’s Emerging Writers program. He is currently working on a new memoir in essays called Air Traffic. For more information about Randolph’s M.F.A. in creative writing program, please visit http://mfa.randolphcollege.edu/.